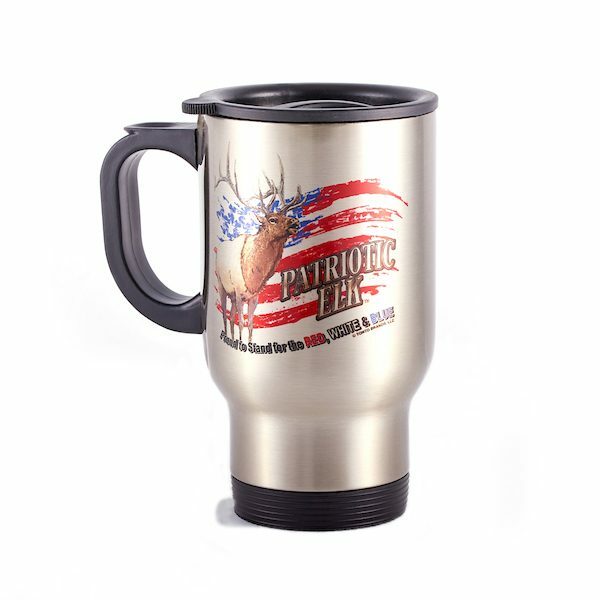 Patriotic Elk Stunning Thermal Tumbler – 6 inches high and 3.25 inches in diameter, resilient polymer lid, handle and base. Dishwasher safe. 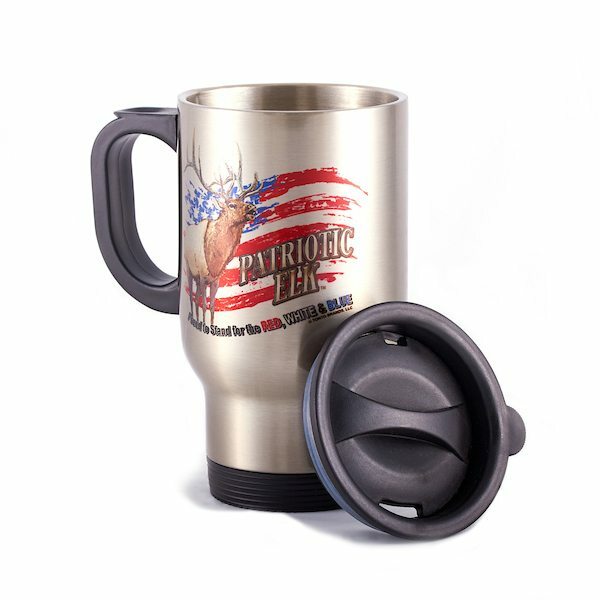 Keeps liquids hot or cold much longer. Meets or exceeds FDA requirements for food and beverage safety.